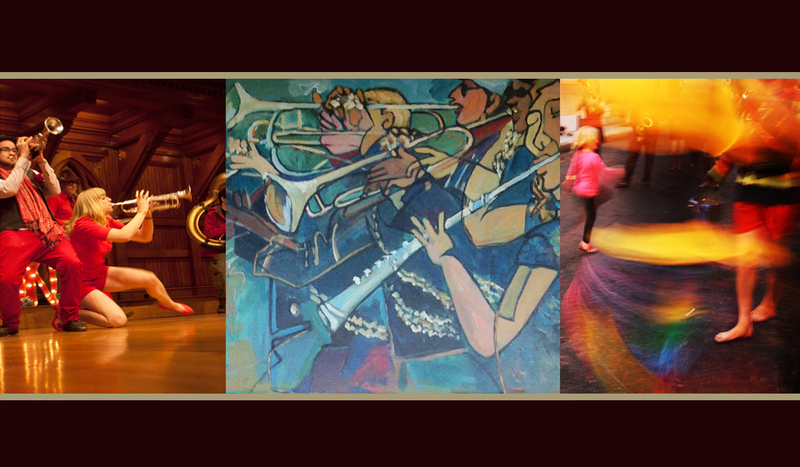 A Harmonious Hoopla: the Art of HONK! Home > Inside-Out Gallery > A Harmonious Hoopla: the Art of HONK! Inside-Out Gallery presents A Harmonious Hoopla: the Art of HONK! From mid- September to mid October, the Somerville Arts Council pays homage to the Art of HONK! Strike up the bands-- the rousing raucous of HONK will be coming to Somerville. Every October street performers from all around the country and the world converge to Davis Square for a weekend full of music and fun. To celebrate this annual tradition, The Somerville Arts Council and members of HONK proudly present A Harmonious Hoopla: the Art of HONK—a collective of artists inspired by the festival, bringing their own creative interpretations for all to enjoy. The HONK! Festival is a grassroots, non-profit event made possible by the financial and in-kind support of a thousand local residents and businesses. For the duration of the Festival, more than 350 musicians will be housed by generous neighbors and friends and many local restaurants will generously provide food for the performers and volunteers. Scores of community members have donated hours of labor to make HONK! possible. Most significantly, none of the bands will be earning any money for the festival, and most will have only some of their travel expenses covered. The bands are inspired to travel great distances, at great personal expense, to joyously celebrate our hard work to reclaim public space—the world over—for all people. The bands long to connect in honor of our struggles for justice. We hope you will come, to connect and celebrate with us, and further the cause of freedom, justice and collective emancipation.